This year at CES 2019, our PLuGHiTz Live crew was on a mission to find unusual and impressive new IoT products. Although we had a feeling that we would find a few silly products that really had no business being internet connected. But we were quite happy when we were able to find some new and useful IoT adaptations, as well. DS Services was one of the companies that made this list. For many years, they have prided themselves on delivering safe, great-tasting bottled drinking water to homes and offices across the U.S. They also offer their own brewed coffee beverages and office break-room supplies. And, under the Relyant brand, they offer drinking water filtration systems, equipment and services. 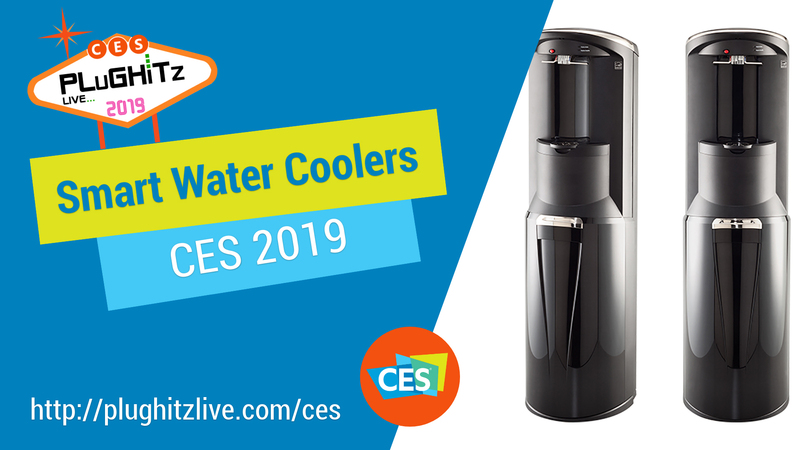 Here at CES this year, they are showcasing a new technology that is being added to their reverse osmosis water filtration systems. These new systems offer some great new features that not only provide excellent service for their customers, but also give the company and its technicians the information needed to keep everything functioning properly, at the highest efficiently possible. Provided are a multitude of data that allows each unit to communicate the parameters of the system to the customer, as well as to the technicians. It measures things like the performance of the membrane and the cold and hot water usage. This information can let them know about things like heavy runs or even compressor issues. All of which allows the company to be more proactive, which in turn can provide cost savings for the customers. The system can also measure how many gallons are going through the system for timely filter changes. Prior to this, the industry standard has been going out to change the filter every 12 months, whether the customer has used the current one to capacity or not. These new units will instead warn the company that a new filter is needed, whether it's been 3 months or 16, depending upon exact usage. There is also leak detection monitoring built right in. So, in many cases, they will know of a problem with your system before you do and already have a technician dispatched out to get it resolved. These units operate by sending all data over a cellular network, so there is no concern with any tampering with your personal wireless network. Users have access to their data via a dashboard in their mobile app. DS Services is expecting to launch this new model in April 2019 and they feel it will be a real game changer in the industry. You can find out more by visiting their website here.